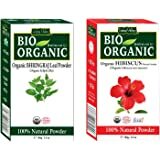 Amazon's Choice for "hibiscus powder for face"
Sold by BUYORGANIC (4.6 out of 5 | 1,015 ratings) and Fulfilled by Amazon. Gift-wrap available. It Also Guarantees Protection Against Premature Graying Of Hair. This Product Brings A Significant Change In Hair Re-Growth With Its Stimulation In Circulation. 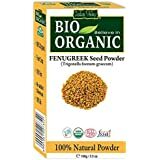 Sold by BUYORGANIC and ships from Amazon Fulfillment. 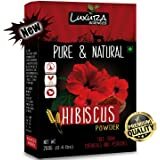 Luxura Sciences Hibiscus Powder For Hair Growth 200 Grams, Hibiscus Flower Powder Natural. 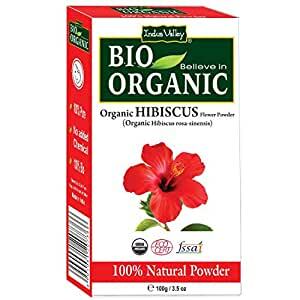 Indus Valley Bio Organic Hibiscus Powder Is A Natural Product Enriched With The Benefits Of Hibiscus Extracts. 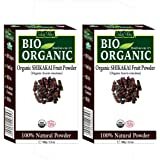 This Product With Its Natural Goodness Is Suitable For Both The Uses Of Hair As Well As Face. When we step out of our house for work we get exposed to pollution, dirt and dust. It affects our skin and hair, and it gets very difficult to maintain and nourish them. 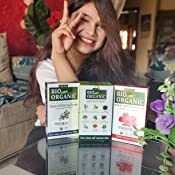 Indus Valley hibiscus powder is a natural cleansing agent that helps you to keep your scalp clean and exfoliate your skin. 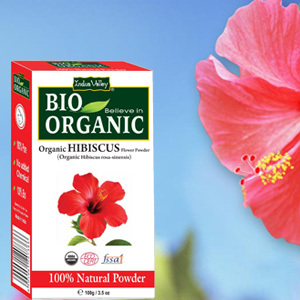 The Indus Valley Hibiscus powder is filled with the goodness of organic and natural ingredients. 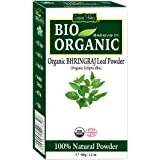 There is no chemical added to this powder that may cause harm to your hair or skin. 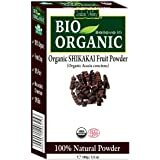 It is rich in amino acid that keeps your hair nourished. 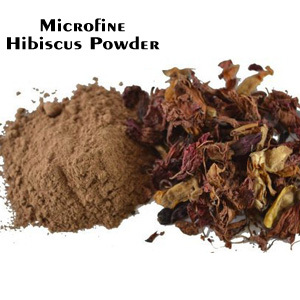 Indus Valley presents a microfine hibiscus powder that is made from shade-dried fresh hibiscus flowers. The triple-sifted process makes it a lump-free powder that is easy to apply over face, skin and hair. 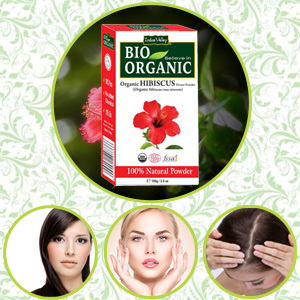 Indus Valley hibiscus powder has multiple usage for both skin and hair. 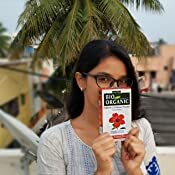 Pamper your skin and hair naturally with organic hibiscus powder that not only helps in maintaining a clean scalp but also exfoliates your skin and face with its natural scrubbing and cleansing properties. Enriched with antioxidants this is an ideal natural solution to purify your skin and keep a healthy, nourished scalp naturally. 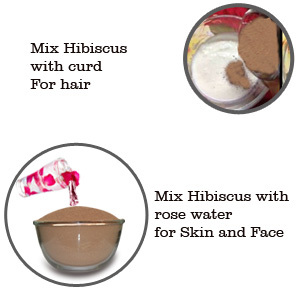 To improve the hair texture, mix the hibiscus powder with curd. 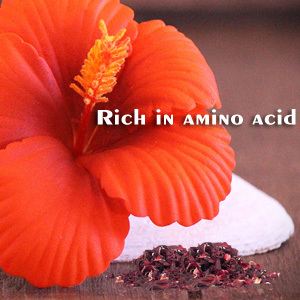 If you want to apply the hibiscus powder on your skin, mix it with rose water. 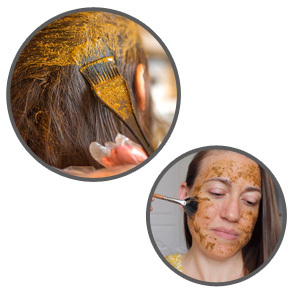 Apply the mixture on your hair or skin and face and leave it for 10-15 minutes to dry it before washing it off. 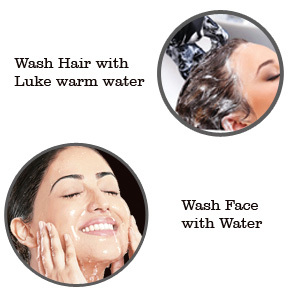 Wash your hair and face with normal or luke warm water and get a healthy hair and face. 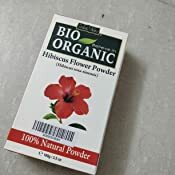 I bought Indus Valley Organic Hibiscus Powder at Rs. 179 and it is a really good product. I bought it a few weeks back and I am very happy with what I have received. It has multiple uses, from stopping graying hair overtime to giving your face a nice glow. Yes, you read that right, it is a multipurpose powder that can be used on both hair and face. 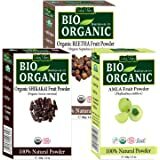 Should you buy or not: It is organic with no chemicals, so heck yeah! It's a must buy! It's very useful for my grandmother, she has stone in her gallbladder. Before purchasing this we have to take her every night in hospital. She was so much in pain.. but now she has taking this medicine from last 6 months. It's very useful. 4.0 out of 5 starsGood quality, a bit overpriced. I bought at Rs. 185, product is good, smells of hibiscus flower and leaves non-permanent colour on mixing with water. Packaging was crumpled but not damaged. Lasts for more than 10 uses depending how much you use everytime, I use it thrice a week (I am a boy 😋). It contains the most powerful anti-aging plant actives which firm and lift skin. It evens skin tone and reduces hyper pigmentation or age spots. 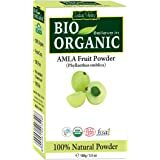 Improves complexion of the skin by breaking down dead skin cells. It is rich in antioxidants for the skin. I have hairfall problem since more than a year now and i was really upset about that. 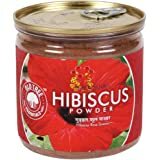 Than one day i saw home remedies about hair regrowth and hairfall problems that hibiscus flower powder is all i need. Its rich in nutrients which are superfood for your hair regrowth. Just apply its paste wid yogurt ,egg or and oil before shampooing. And notice the results after a week or so. its an ayurvedic medicine to treat your hair. I just love this product from indusvalley. 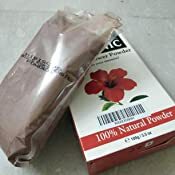 Loved this hibiscus powder as it can be used for both hair and skin. I used it on my face and it gave really good results. It cleanses the skin and give it a bright look. When I used it on my hair, it removed dandruff from my scalp and cleansed it. Would recommend it to others.